This sauteed Chinese broccoli recipe is simple and very easy to make. It is a great side dish for any Chinese recipe, but also goes well with other meat and fish dishes. Serve this fantastic vegetable side dish with any of our Chinese main courses that you will find here. Brown onion in oil over medium heat. Add broccoli to onion, cover and cook about 3 minutes. 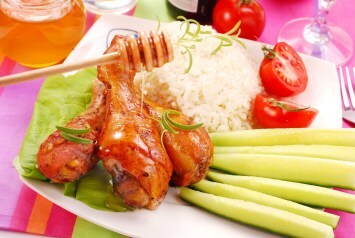 Mix soy sauce and sugar with the chicken stock. Add corn starch and mix. Pour mixture over broccoli. Cook, uncovered, another 2 to 3 minutes, stirring frequently. Broccoli is also good with green onions. I would substitute 1 bunch of green onions, cleaned and chopped. Just saute them lightly before adding the broccoli as it doesn’t take as much cooking as regular onion. If you or those in your house don’t like onion at all, you can simply leave it out. There isn’t much sugar in this dish and the sugar really evens out the taste a bit, but it is optional. If you are really cutting down on sugar, you can cut the amount in half or omit it. Cooking fresh broccoli is quick and easy, and its’ health benefits are so great, broccoli dishes should be on the menu often. 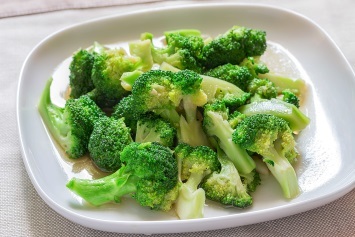 This broccoli recipe is perfect for diabetics. It is quite low carb. If you like this recipe, I’d love it if you would Pin it to Pinterest, Tweet about it, and Like it on Facebook. Share your own favorite recipes below. Thanks. Broccoli is one of the healthiest vegetables you can eat, so why not find more reasons to put in on the table with an easy recipe like this one. This broccoli recipe is just one of our tasty vegetable recipes. You will find the rest here. Add curry leaves, one big onion(cut it small)and saute well,until it becomes brown Add 1/4 spoon of salt,1/4 spoon of chili powder. (if you want pepper,a little bit added with chili powder). Saute well. Add one bunch of broccoli. Spread little bit of water on that and saute well until broccoli boils. Very good and very easy to make. This gets a 5 out of 5! Will definitely make it again.